Designated a "Safer Choice" by the U.S. EPA​, this environmentally friendly formula is safer for people, pets and lawns. * It contains our powerful melting catalyst, MG 104®, which helps prevent refreezing up to 2½ times longer than conventional ice melters. 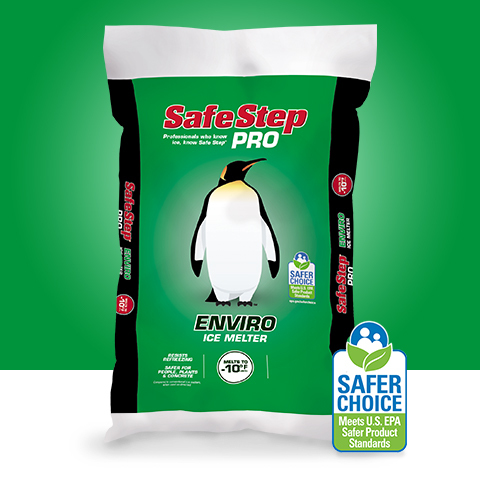 Designated a "Safer Choice" by the U.S. EPA​, Safe Step Pro Enviro demonstrates our commitment to the health and safety of people, pets, plants and the environment.